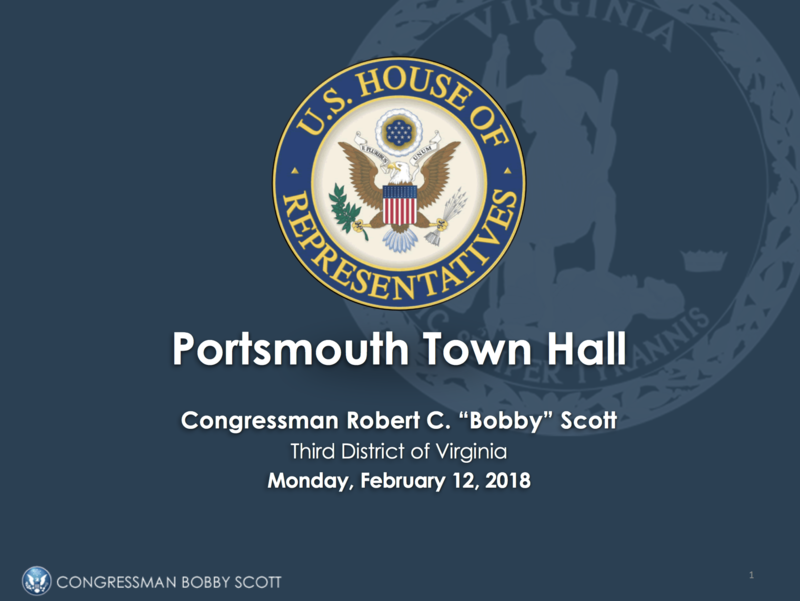 On Monday, February 12 at 6:00 pm, Congressman Bobby Scott (VA-03) held a town hall on the recently passed Republican tax bill. This town hall gave residents of Virginia's third district a chance to ask questions about how the new tax law will effect their wallets and their community. Video of the town hall can be found below. Click here to download Congressman Scott's presentation.